Article series Around the Earth begins with a country we could probably write a book about. For saving your time, we tried to put it all together into the best and most amusing of China. 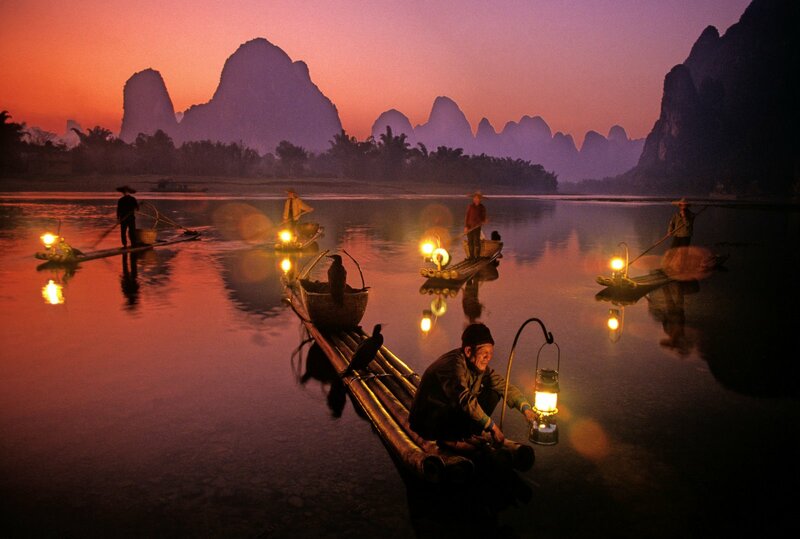 Corners of China is exactly what you ought to read before travelling to this incredible place on Earth. 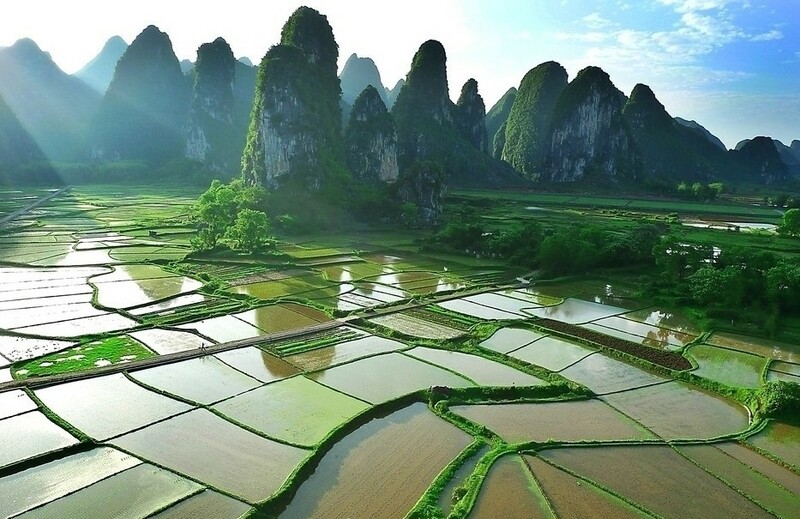 Guilin as known as ”Forest of Sweet Osmanthus” is prefecture-level city in the northeast of the Guangxi Zhuang Autonomous Region, located on the west bank of Li River and bordering Hunan to the north. 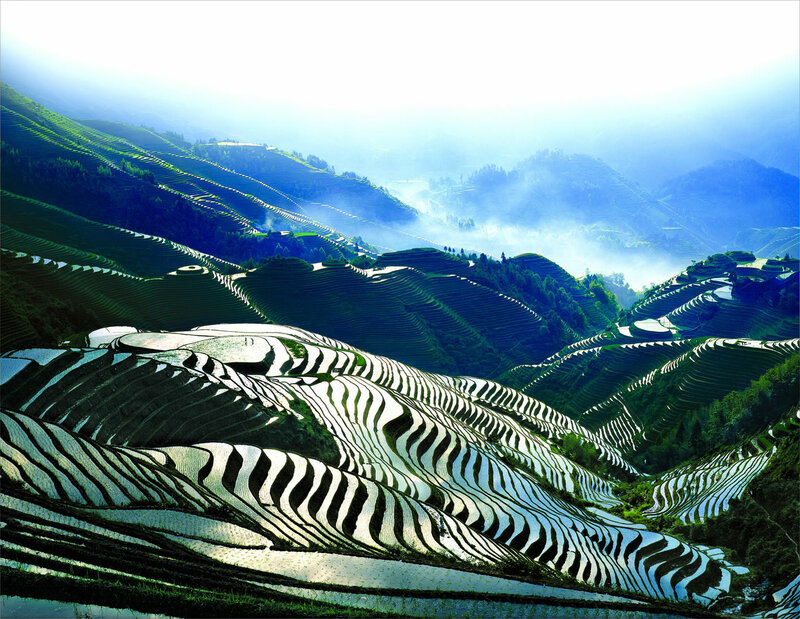 Desired by tourists, Guilin is famous for its breathtaking landscapes containing steep hills and rice fields. This is a place to see how real China looks like. Xian is one of the oldest cities in China and capital of Shaanxi province. Standing here and now full of over 3000 years of history. Having held seven dynasties, including Zhou, Qin, Han, Sui, and Tang is pretty amazing when you think about it. Zhangjiajie is located in the northwest of Hunan Province. The landscape of this region is just incredible! It is one of the most popular tourist attractions in whole China. These high mountains you see in photographs is the reason of that. Could you believe Zhangjiajie holds 3000 of these stone pillars? No, China ain’t all Himalayas and bamboo forests full of pandas. It has some sandy places, too. Now, this place isn’t a mirage either. In photos you can see shots from Gobi desert in northwest China. Echoing Sand Mountain is a series of dunes surrounding Crescent Lake. It is a necessity to visit this place only because you can get to the dunes height up to 250 meters riding on a camel. Just imagine riding one of these in the middle of Gobi desert! Located on the Baishui River, Huangguoshu Waterfall is one of the largest waterfalls in China and also the highest around all Asia with the height of 77.8 meters. By locals called ‘Yellow Fruit Tree’ this giant is amazing from any view you look at it. It’s time for some design. At first glance, this looks like some Chinese version of Venice. Art dwells in this marvelous place. People from all around the world come to see this unique town for its rich Miao and Tujia ethnic culture. Fenghuang is also famous for novel “Frontier City” writen by Chinese writer Shen Congwen which put this place for 1300 years in limelight. Also known as Chang Jiang, the river is the longest in whole Asia, stretching out through whole China in lenght of 6,418 kilometres. Yangtze is the most important river in the history, culture and economy of China. When travelling on Yangtze you are able to see lots of beautiful places in China, including the river itself. New York has Statue of Liberty and so Hainan has Guanyin Statue, which is by the way the biggest Guanyin statue in the world at height of 108 meters. Located in the most southern part of China – Hainan. Built beyond beaches of Sanya which are also a right place to visit, the statue should be in any tourist’s list. We did some sightseeing and now it’s time for some relax! As I have recently described the Guanyin Statue which is located in Hainan, beaches of Sanya is what really attracts people to this part of China. The resort has over 20 international luxury hotels over the 7.5-kilometer crescent beach. Simply heaven on Earth. In the 1950s, the Chinese government evacuated and flooded 928-square-kilometer of villages, plains and hills to build a reservoir. Resulting of around 1000 islands formations, it seem not a bad decision. Especially when it comes for resorts and tourism. Just a 50 minute trip from Zhongdian and you are here. The national park of Pudacuo is full of nature. It contains even 20 percent of plant species around the China. Photographers especially love the area’s many types of orchids and China’s highly endangered black-necked cranes. In Bita Lake in the park, the Bita double-lip fish is an ancient fish dating back 2.5 million years. Jiuzhaigou is a fairyland named after the Nine-Village Valley, which is the living place of nine Tibetan villages. The valley is about 50 kilometers long. This lake is situated deep in the mountains. The reason of so much colours in this place is the reflection of colourful landscape all around it. The rock in the bottom of the lake does also contribute in colours. In photos you can see the Ancient Town Lijiang. Populated by Naxi people this place has over 1300 years of history. The locals have developed a culture called “Dong Ba Culture”. A beautiful place to gain some knowledge and find peace. How could you miss a bamboo forest with a panda in it when talking about China? You simply couldn’t. This amazing natural bamboo forest covers an area of 4000 ha. The place holds over 58 diferrent bamboo species. You can imagine how green it is out there! However it’s not the bamboo that you only see. The forest features over lakes, rivers and over 500 hills. Now that’s some stunning views. It is actually pretty hard to get to this place, as roads aren’t too safe out there. Although those who dared to go there, definitely didn’t regret it. The lake is like a huge mirror reflecting the mountains. The temples of Buddhism you see in the pictures are the chiedf landmark of Dali, an ancient town in southwestern China, province of Yunnan. The buildings are arranged on the corners of an equilateral triangle. The main pagoda, known as Qianxun Pagoda you are facing is one of the highest pagodas in an entire China. According to local legends, Dali was once a swamp inhabited by breeding dragons before the humans arrived. As the dragons, which were believed to deliberately create natural disasters to dispel human intruders, revered pagodas, the Three Pagodas were built to deter the dragons. These magnificent mountains are around 25 kilometers long and 10 kilometers wide. Also known as Kuanglu, it is also known as cultural and spiritual symbol of China. Lots of people from various times travelled long ways to the mountain to be inspired. It is believed this place helps for artists to concentrate and open their minds. So there’s this 3 kilometers lenght and 2 meters depth river that flows through the Benxi Water Cave. Forgot to mention that the cave is about 5 million years old. No big deal, huh? As you may have already noticed, the cave is shining in all the rainbow colours. It is so because of the lightning, nothing else.